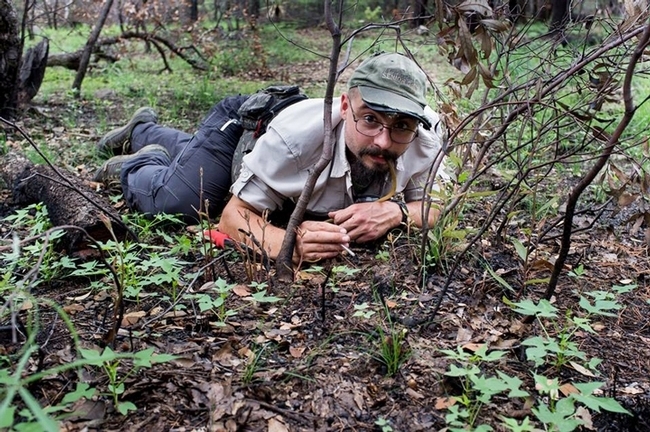 Myrmecologist Brendon Boudinot in the field. This was taken at the Southwest Research Station in the Chiricahua Mountains near Portal, Ariz., by Roberto Keller, National Museum of Natural History and Science, Portugal. 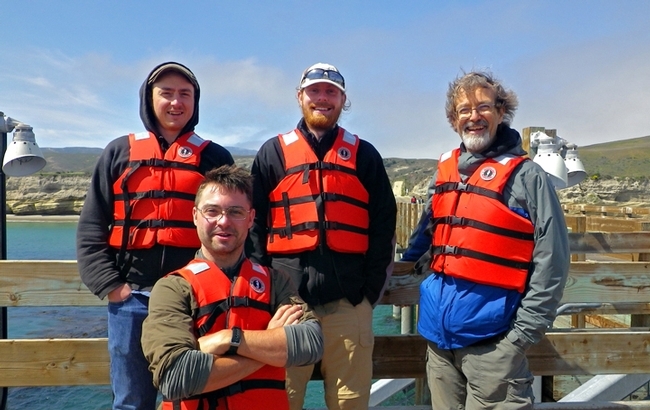 Brendon Boudinot (front) with fellow myremcologists at a 2014 National Geographic expedition to Santa Rosa Island, led by David Holway and Phil Ward. 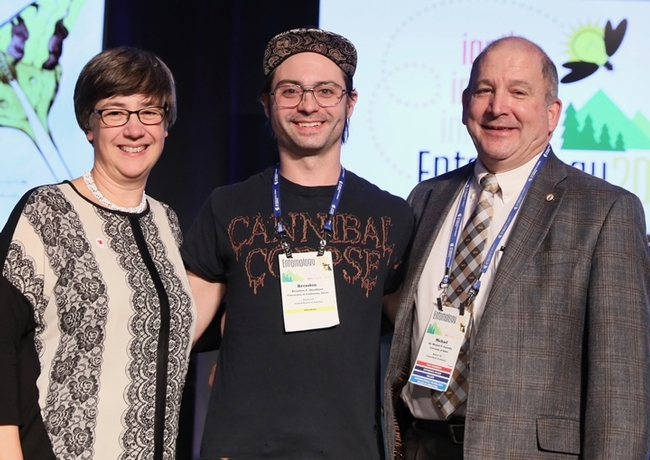 In back (from left) are researchers Matt Prebus, Marek Borowiec and their major professor Phil Ward. Prebus, a doctoral candidate, will be giving his exit seminar this spring. Borowiec is now a postdoctoral researcher at Arizona State University.